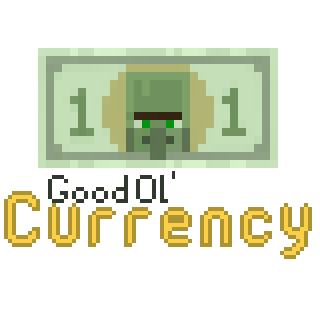 The Currency mod allows the player to create their own economy with colorful bills. The mod also adds a Vending Machine, Exchange Machine, and much more to enhance their economy. When it comes to using 'Good Ol' Currency' in a modpack you don't need to ask for permission! just do it! Hi! Sorry to bother you, but I'm curious about some of the functions in the mod. In the tabs on the side of the machines, what does the lock do? Edit: I read the manual and figured that part out. Additionally, when toggling infinite stock for the Exchange Machine, there is a second button with a wire 3D box in it (that x's out when you click it). What does that do? I believe the book included in the mod describes what each button does. None the less the lock disables/enables the ability to interact with the machines via hoppers or other pipes. In the exchange machine that extra button in the infinite tab allows you pick if you want the machine to collect the blocks sold to it or not (X'ed out would mean when a block is sold to it, it just disappears and doesn't appear in the machines inventory). Would you ever consider adding a salary function? I'd like to automatically grant my players money on an interval (so long as they have an open inventory slot) as they play. That's wonderful! Thank you for the quick response and the excellent mod. This mod looks great, but I’ve two questions: Does this mod work without any configuration, and do prices adjust depending on what items are purchased frequently? Hey there, was going to run this on a server thats about to go live, but there was one thing that kinda bugged me. So in order to get money, we would allow players to trade in certain stuff for money. But we wanted an easy way in the start to acquire money, so we were going to do, lets say 10 dirt blocks would = 1$. Something along those lines, but theres no way to exchange that way and wonder if you can add that. Some kind of exchange rate. 5 sand for 3$, 6 stone for 4$, etc. A way to add it takes more than just one of the item to get the money. We initially thought the amount number under the price would do that, but it doesn't. It still makes the block disappear even in infinity mode. Can you possibly add a config setting where bills automatically combine? In your inventory? I don't think that is a viable option, too many issues could arise from that. Sorry. 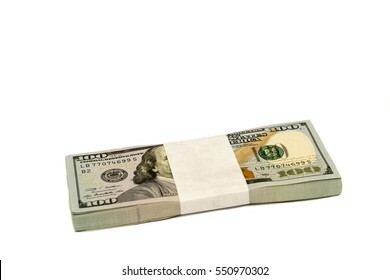 I will however have a wallet upgrade that will auto combine bills similarly like that. Alright. I also noticed when used on servers, it tends to crash through the advancements system the mod uses. Can you fix that? Can you port this over to 1.7.10? Thank you for the mod! It's just what I needed for my server.